BIG NEWS!!! I grew a Nikola shaped dread, like, overnight!!! No, but in reality there is still not a whole lot going on up there. 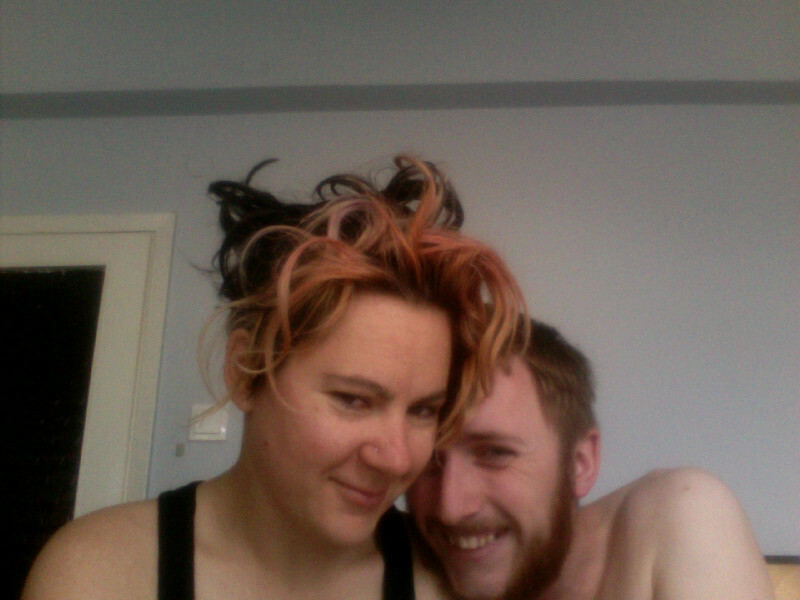 You may think it is getting a whole lot messier and loopy, which it is, but that picture happens to be fresh from waking up. Usually throughout the day it calms down, and then after a shower it is back to normal people hair. On a happier note, after the shower it messes and curls up much faster than it did three weeks ago.